Welcome to Simple Industries Inc. and The Jamaican Me Crazy Coffee Company Ltd. importers and purveyors of certified genuine pure 100% Jamaica Blue Mountain® coffee. Simple Industries Inc. is a registered foreign importer and trademark licensee of the Coffee Industry Board of Jamaica which ensures the integrity and quality of our Jamaica Blue Mountain® coffee. The Jamaican Me Crazy Coffee Company Ltd. is our retail subsidiary. We are licensed with the Coffee Industry Board of Jamaica. We can ship your order anywhere in Canada, the U.S.A. and international destinations. We import and sell only the Ridgelyne brand of whole bean certified genuine pure 100% Jamaica Blue Mountain® coffee in 1/4, 1/2 and 1lb packs starting at $15.99. Ridgelyne is the highest quality Jamaica Blue Mountain® coffee available, produced by a master roaster with decades of experience in producing such a fine coffee and with an attention to quality far beyond what is mandated in the Jamaica Blue Mountain® coffee industry. Our Ridgelyne brand certified genuine pure 100% Jamaica Blue Mountain® coffee has no additives, no fillers, and is not blended. 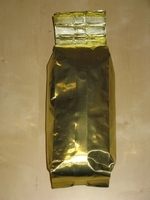 Each package contains only the very finest roasted certified genuine pure Jamaica Blue Mountain® coffee beans. 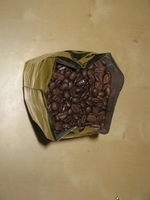 Learn more about our coffee. Our Ridgelyne brand embodies the true Jamaica Blue Mountain® coffee experience. We are pleased to let our loyal customers know that we are now fully restocked with all package sizes of medium and dark roast certified authentic !00% genuine Ridgelyne brand Jamaica Blue Mountan® coffee. Click here to browse our selection or to place an order. UPDATE!!! We visited the school and will be providing a photo update soon, but the great news is that our generous customer donations and our 5% of Canadian sales donation has provided all the children at the school with a home cooked lunch, on premises, for the first quarter of 2019. Our next goal is to raise funds to be able to provide for the rest of the year. NEW FUNDRAISING DONOR! Marlene L. Grant Professional Corporation of Ottawa, Canada, a CPA and CGA Accounting firm has agreed to match the Simple Industries/Jamaican Me Crazy Coffee Company Ltd. 2.5% donation to Guava Ridge Basic School. DISCLAIMER: Ms. Grant is also a Company Officer, Vice President with Simple Industries and The Jamaican Me Crazy Coffee Company Ltd.
GOAL UPDATE! Our goal is to provide all of the children with an education. Almost half of the children are Wards of the State from a nearby State care home for small children. It was discussed and agreed by all parties that our next big goal will be to build a new school for the community. 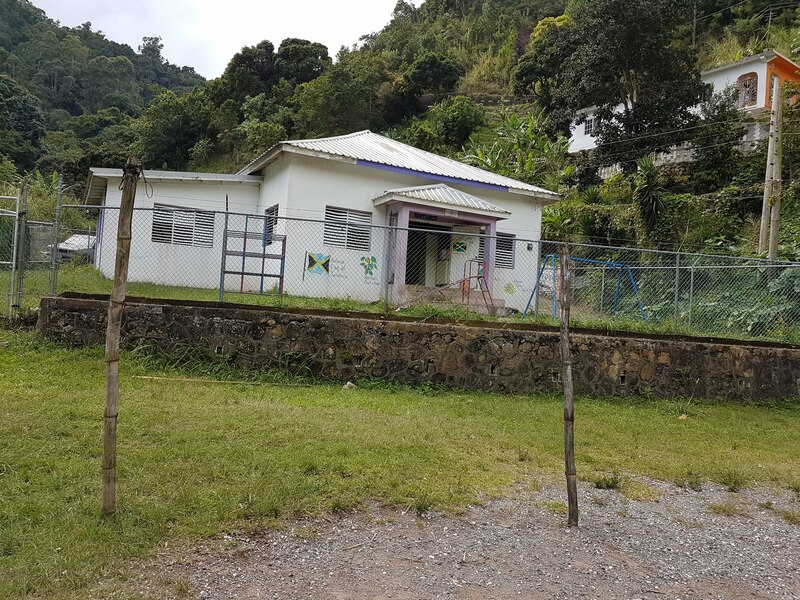 We visited Guava Ridge Basic School high in the Blue Mountains of Jamaica. The school started in the 1960's as community center. There are approximately 40 students in 3 classes from age 3 to 6 years old. The school draws students from a 12 mile radius in the very remote and mountainous Guava Ridge area. The school receives a subsidy for nutrition as meals are provided for the students, and the principal receives a small subsidy. There are two other assistant teachers. Almost all of the funds to operate the school come from fundraisers and donations as most of the parents cannot afford to pay the school fees. Our coffee roaster and another foreign importer have also been providing financial support. The children have no other options for education so we too have decided to support the school. Commencing January 1, 2018 we will be donating 2.5 % of all of our sales of Jamaica Blue Mountain coffee to support the school our first disbursement to the school will be at the end of 2018. If you would like to make a donation please contact us as we would be happy to assist. Our Roaster in Jamaica will be matching our donation so 5% of all Canadian sales of Ridgelyne Jamaica Blue Mountain coffee will help support the school! UPDATE!!! Generous donations by our kind customers and by us and our Roaster in Jamaica have now provided hot, home made on site school lunches for all of the children for the first quarter of this year. Our goal is to provide the same lunches for the rest of the year. Please consider a small donation. Almost half of the children at the school are wards of the State from a nearby State care home. Our goal is to provide all of the children with an education. It was discussed and agreed by all parties that our next big goal will be to build a new school for the community. We want to let our American friends know that yes, you too can order from our website. Now the good part. Near the top right of our website is "currency". Click it to change the currency to US dollars to get the approximate cost of your choices in your currency. 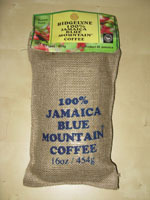 You will be surprised how much cheaper our certified authentic Jamaica Blue Mountain coffee just became. We use the European Central Bank posted rates but your payment processor may charge more or less. We offer UPS and Canada Post for USA orders. Canada Post ships within the United States of America very affordably, reliably and without any addon customs brokerage charges. Your order will be trackable. We have reliably shipped hundreds of orders to the USA using Canada Post.